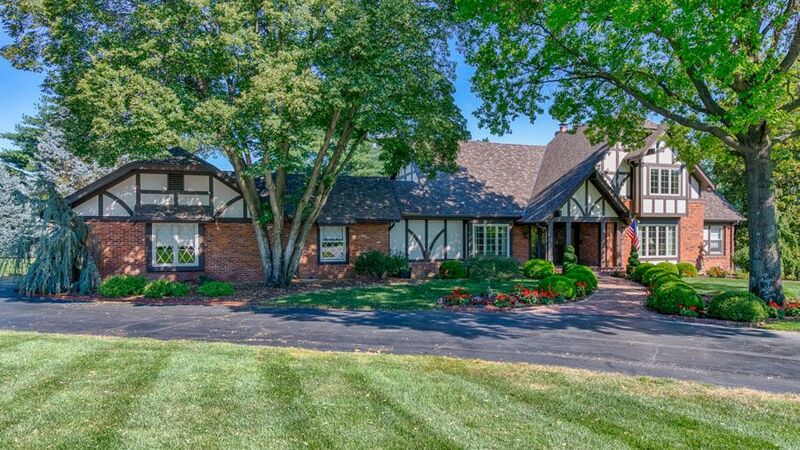 Higginbotham custom built home, located in sought-after Muirfield. This gracious home is close to Bellerive Country Club & is on a 1-acre level lot on a quiet cul-de-sac. 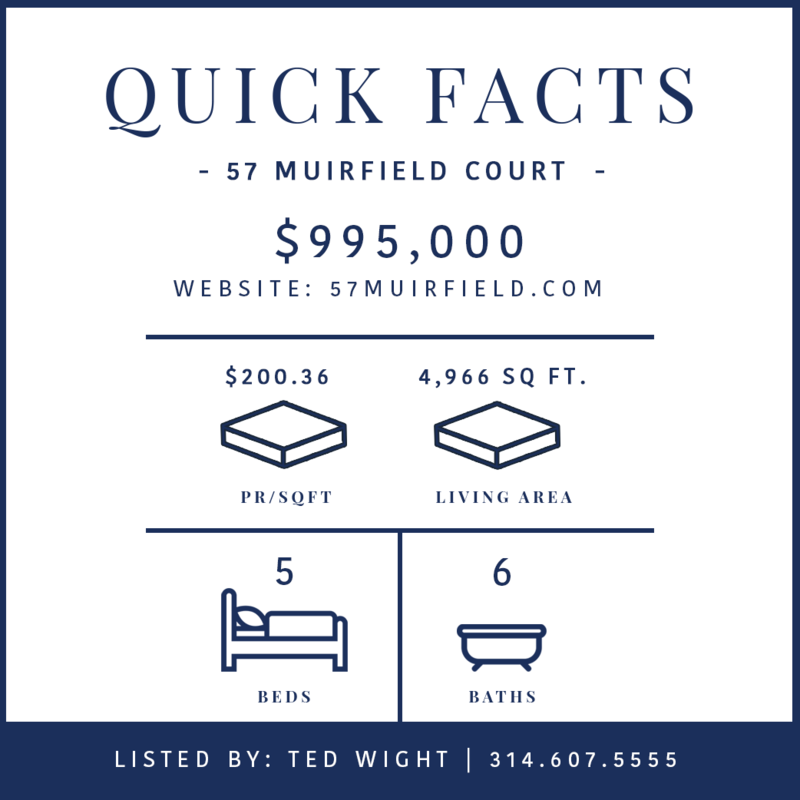 The home has been expanded doubling the size of the kitchen featuring granite 5’ x 11’ center island, stainless appliances, gas stovetop, double electric convection ovens, warming drawer & 2 custom built-inpantries. Breakfast area with skylights which extend into the adjoining family room with a wood-beamed vaulted ceiling, wet bar & gas fireplace. Main level laundry room off kitchen with planning desk. Multiple sliding glass doors that lead to an all brick patio. Main floor master suite with 2 custom walk-in closets, double vanities in bathroom & heated floor. Main floor office. 2ndlevel has 4 spacious bedrooms & 2 baths with a walkway overlooking the family room. Finished lower level with recreation room, full bath & wet bar with doors that lead to lovely pool area. Oversized 3-car garage with lots of storage.